Spotify wants kids to know that code isn’t just computer language—it’s everywhere, even in their favorite music, apps, and games. In fact, anyone can learn code, and there’s no age requirement for speaking the language of the future. That’s also the aim of Kodcentrum, a program that runs coding workshops for children in Sweden. Four years ago, we became the first main sponsor of Kodcentrum, and ever since, we’ve worked together to help alter the landscape of programming in Europe. 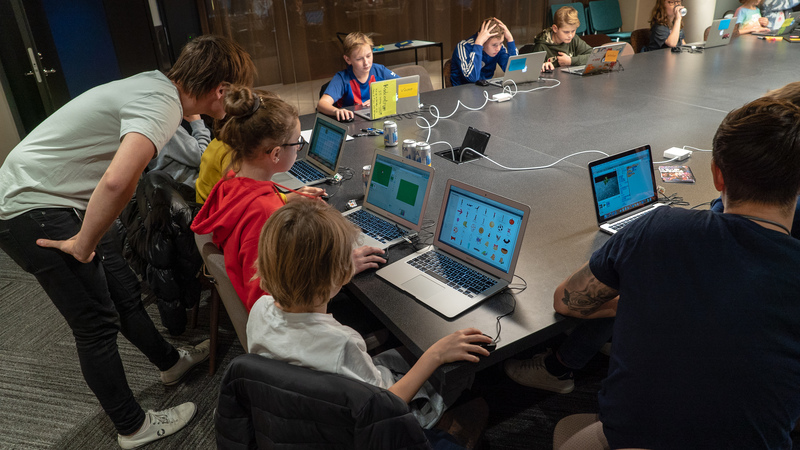 Together through our weekly Code Clubs at Spotify Stockholm (and larger initiatives like last year’s Hackathon, where 400 fifth graders coded at Stockholm’s City Hall), we hope to inspire and shape the next generation of brilliant thinkers, inventors, and creators. Kodcentrum was founded in 2014 when social entrepreneur Johan Wendt read an EU Commission report that stated Europe would face an absence of 1 million programmers in 2020. “By introducing children to programming early on, we want to empower them to take part of and influence the digital democracy. We also hope that we can contribute to the improvement of their position in the workforce, and by doing so, promote equality in tech,” Lisa Söderlund, education manager at Kodcentrum,” Lisa Söderlund, education manager at Kodcentrum says. 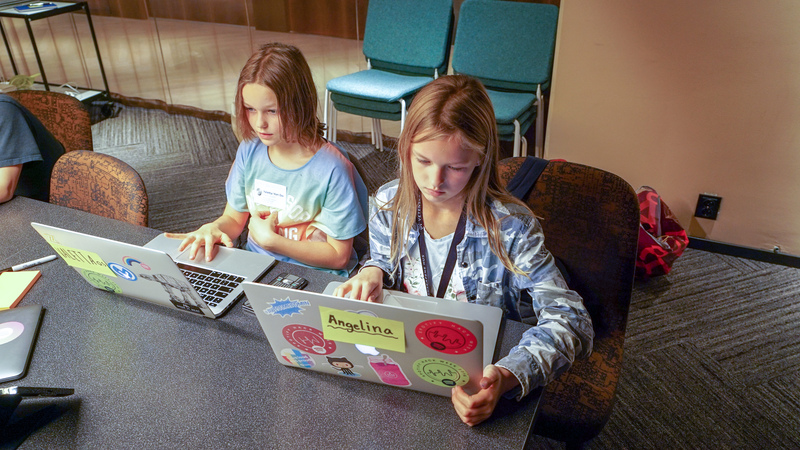 Now, through the program’s clubs and hack events, aspiring young developers receive hands-on instruction from professionals who teach coding in real and relatable ways. Each semester, Kodcentrum and Spotify’s Code Club initiative hosts up to 25 students from grades 4-6. Over the course of nine weeks, kids explore digital creation and problem solving through visual coding in the children’s programming language Scratch. During each 90-minute session, young coders work with Spotify volunteers to create computer games—including “The Flying Whale” and “Bug Race”—that make coding fun and satisfying. While Code Club is rewarding for Spotifiers, it’s even better for the kids who participate. “It is fun. At the Code Club you get a lot of help, which you don’t get when you code at home,” says Vincent. Kodcentrum also works with schools and teachers to introduce coding in school education. “When we teach kids coding, we are improving their chances on the labor market and ensuring that companies like ours can be successful in the future,” says Katarina Berg, Chief Human Resources Officer at Spotify. Inspiring and enabling all children, regardless of their gender or background, to see coding as a career path that’s open to them has been a major goal of the initiative. “Every child should have the same opportunity to learn how to code. It’s a matter of democracy, really,” Berg continues. For the kids involved in Code Club, working with real, professional coding volunteers has made the possibility of a career in developing a more tangible reality. Each week, the kids show up ready, willing, and eager to learn.